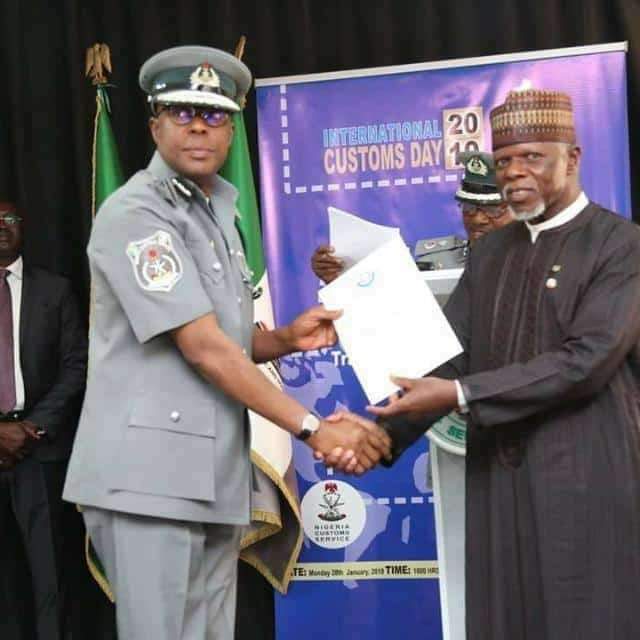 The Nigerian customs has promoted Comptroller Bashir Abubakar of Apapa Area Command to ACG for his rejection of bribe to the tune of $420,000 from a drug trafficking cartel to take delivery of 41 smuggled containers of Tramadol. Story from prince of Persia. If I hear say custom officer reject bribe. Evidence please! See money wey person suppose collect go better him life. dey there the form good Nigerian until poverty catapult you to Sudan enroute Iraq that's when your default button will be restored to factory setting. Nigeria where don kpafuka na him you dey form boss untop. The lives 41 containers of tramadol will ruin, and affect the friends and family no concern you abi? The crime it will empower no concern you abi? The drugs that will flood schools no concern you abi? Shebi as you don collect BQ for hellfire , e don dey shack you abi? Chai this man try ooooo,to resist that kind plenty money. if na me,well make i shut up mbok. That's 140 million with some loose change on top.Good guy!!! What a good role model. Rejecting bribe in this Nigeria!!! Nice one sir. Thanks for saving lives because we don't know how many lives that would have destroyed if you had collected that bribe. God bless you and your generations to come. Thank you Sir. May God bless you and your generation. Until you experience the damage that drug abuse can do to a person's life..his future, his destiny, his family...Until you experience it first hand, you will never appreciate what this man has done. If he succeeds in saving even it is one young life from the evil called tramadol addiction, then it is worth it. God bless you Sir. He is an exceptional custom officer,and truly his name will be written in sands of time just like Dora of late memory. It somtimes takes one person to make that change, and it's simply saying no to vices no matter how beautiful and well decorated it is. Most of such honest officers should be given due recognition and reward. The public service carries a huge chunk of our national image.